The Aspin is a great distressed leather messenger bag for everyday wear for him or for her. We love it’s distressed vintage look. : Measurements 27cm x 25cm x 8cm. 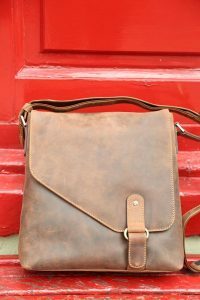 I recently purchased this bag from Mishnoc which was really efficient in its arrival to Co.Clare. I work in London and whilst there have received so many complements on its shape and colour. It has ample room for both cosmetics and the odd child’s necessity. The amount of pockets stops the previous digging for keys and phones which took up so much time. When in Galway, I visited the shop and the selection is wonderful. Congrats on a great product and service. Received very quick. Beautiful craftsmanship and looked even better in person. We are Italians and we love well-made leather goods, this definitely is one. My daughter is very happy with it. 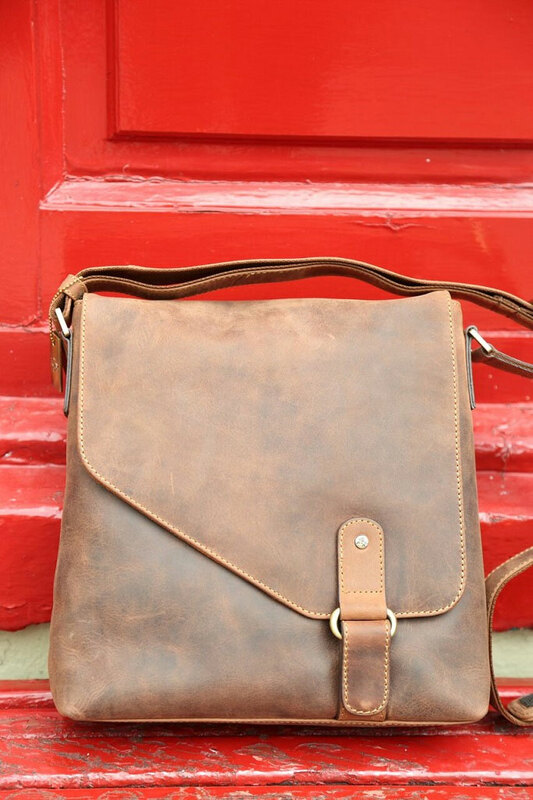 Absolutely delighted with this purchase – a gorgeous bag made with great quality leather and lovely finishes. i got it as a gift for my sister and i am now very tempted to get my own! LOVE my new purchase. Exactly as described and a good size. I love the look and feel of the leather. 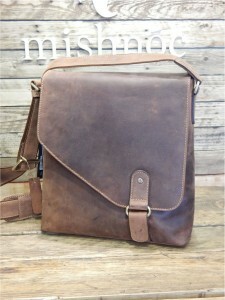 It is the second bag I have bought from Mishnoc. The first was a present for someone else who loved their gift. Service was excellent delivery arrived quickly. Will definitely be purchasing again in the future😊. Looked at this fab bag so many times online, finally purchased and I love it! Great size, shape and perfectly pocketed. Wonderfully quick and easy to order and delivered for free very promptly. Will absolutely purchase of mishnóc again .. already have my eye on the new Grainne tote. The service was prompt. 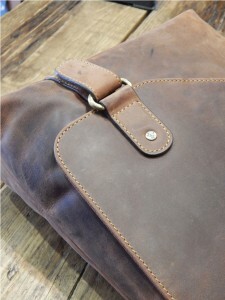 The bag was beautiful and exactly as the website. It was a gift for a good friend and she loved it! The whole experience was a pleasure..
I’m so glad I purchased this beautiful bag-it’s the perfect size, the perfect colour, and it’s quality and craftsmanship is obvious, and all at a very reasonable price. I recently made my first Mishnoc purchase so I knew my bag would be delivered to me promptly, but it arrived much sooner than I expected, and I’m absolutely thrilled with it. Thank you Mishnoc! I purchased this bag as a present for my wife, who absolutely loves it and took it on holiday recently and never had it off her shoulder!!! A few people commentated on how good it looked as well which was nice. I have purchased a few items from Mishnoc on the web and the service has been excellent from start to finish, I even called after I placed the order of this messenger bag to change the delivery address as I wanted it to be a surprise and it was not a problem. Am looking at it as we speak. 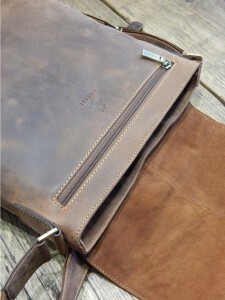 Its a really beautifully made handbag inside and out. Easy to order online, arrived very quickly and a personal touch asking me if I liked it. Be nice to yourselves ladies. But a handbag. 5 stars. The experience buying with these guys has been really amazing. Easy, fast and 100% reliable. 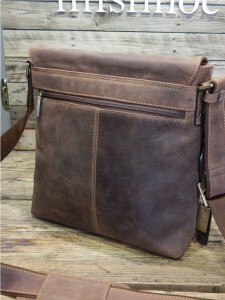 This is a beautiful bag, super fast shipping, amazing packaging and quality. Extremely happy! Wow !!! Super fast and efficient delivery, I placed my order online late yesterday and it was delivered to my home address in County Dublin early this morning. The stressed leather feel is great and exceeds our expectations. Bought this bag about two months ago, great delivery time, great bag, loads of room and great quality. Love dealing with this company. I purchased this bag from Mála a few weeks ago and am delighted with it. 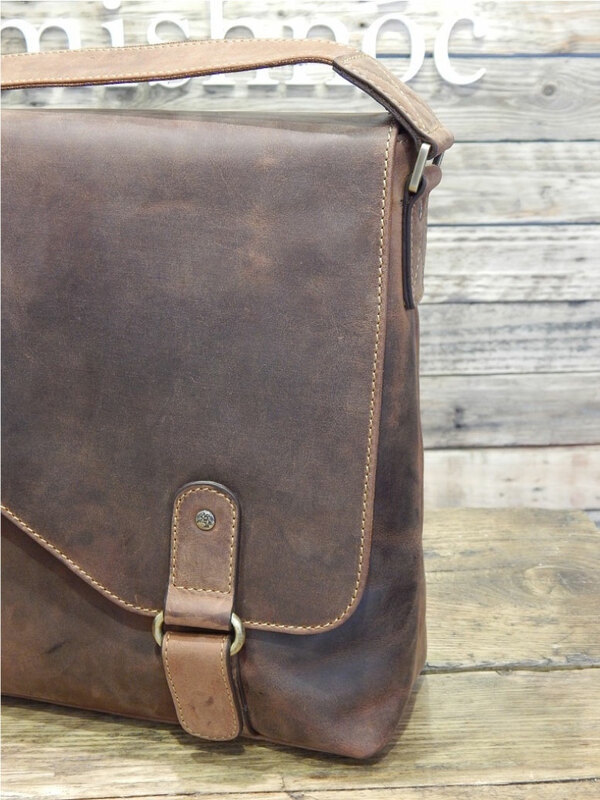 The quality is excellent and you can’t beat the smell of real leather! The bag is just the right size – not too big, not too small. I ordered it late on a Friday evening and it had arrived mid-afternoon the following Tuesday. An excellent service from Mála Galway.